Our 5/8" woven polyester lanyards come personalized with your design & choice of simple j hook or alligator clip as standard. We believe you won't find a cheaper lanyard in the USA market & with a one week production time they are unbeatable value! 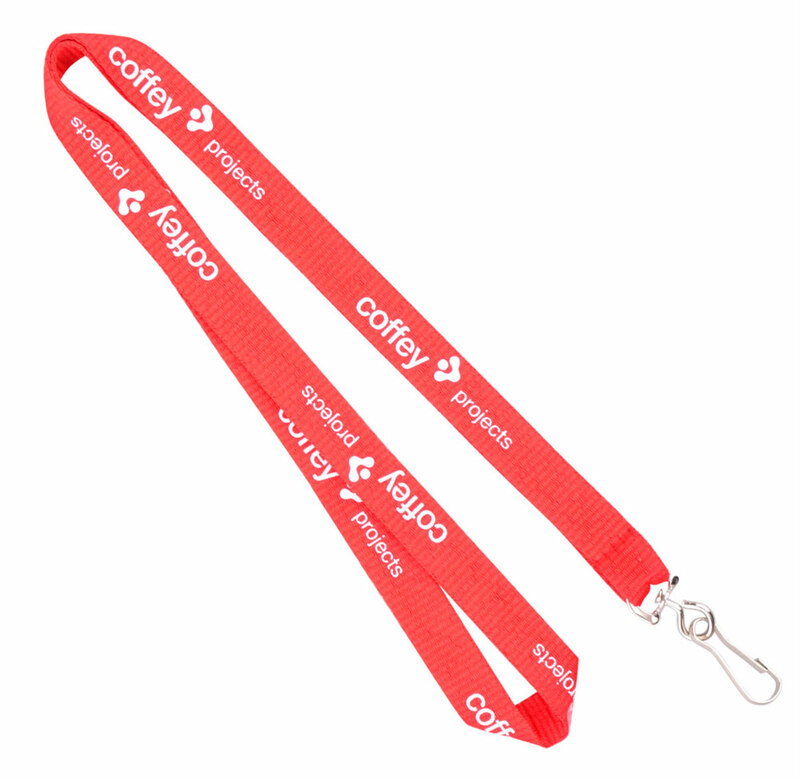 Suitable for a range of uses, these customized lanyards are perfect for conferences, trade shows or as security ID for building entrances. We're ready to take your orders now and will have your personalized lanyards shipped in no time. Click the icons for more info. Note: Colors shown here are for demonstration purposes. Final color may vary slightly from what is displayed. You can also do this style as an open ended lanyard with an attachment on either end. Add $0.10 to prices displayed for any quantity, based on the attachments being either simple j hooks or alligator clips. We offer free shipping via FedEx Ground throughout the continental United States for orders of 500 or more. There is a flat freight charge of $7.00 for orders under 500. Additional charges may apply for Express shipping or orders shipped outside the continental United States. We will waive the setup cost for all orders with 1000+ quantity.